Complete baseball uniform shall consist of - corresponding tops or jerseys (with proper numbers), corresponding (similar) baseball caps, baseball pants (no shorts), corresponding stirrup or baseball socks. As per OBA Rule Q2.3 (u) -- The coach operating the pitching machine is required to wear a baseball helmet. Please use the link above to go the Baseball Ontario website where you will find Baseball Canada, Baseball Ontario, etc. rules. Umpires should frequent the Baseball Ontario Umpires section regularly as rules are explained and there is a wealth of other info for umpires as well. This report is to be completed if there is an incident at your game. It is to be completed in its entirety with the detail on the incident. A copy must be forwarded, within 12 hours of the incident, to Rob Companion, LDBA Umpire in Chief at rob@srh.ca and another copy to 2nd Vice President, Derek Brooks at derekbrooks@rogers.com. Convenors listed in the LDBA Handbook should also be copied. Junior Intercounty to Diane at wakefield5@rogers.com -- Diane will forward to appropriate Jr ICBA personnel -- For Junior Intercounty, if a protest occurs, you must write it on the lineup card, scan it in your computer and forward to Rob and Diane. EBBA and LDBA umpire Gary Whiteman passed away on Sunday, April 4 after a short six-week battle with a brain tumour. As well as umpiring over the past decade or so, Whiteman served briefly on the EBBA Board of directors and as Umpire-In-Chief for EBBA. Gary was also known to a lot of former EBBA players as their teacher as he taught for several years at Glen Cairn P.S. Gary was always well liked and respected. 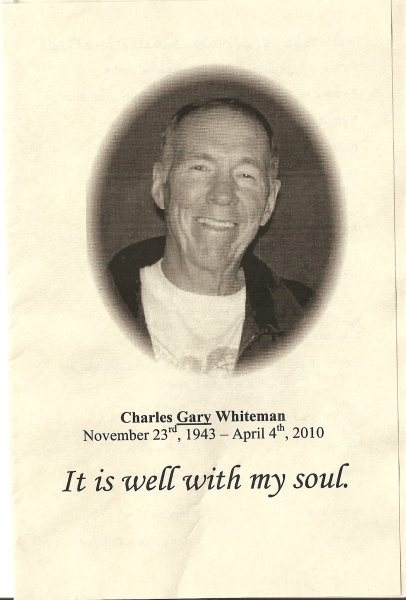 A long-time fellow LDBA umpire described Gary in the following way, "Gary Whiteman was one of the good guys." "ONE OF THE GOOD GUYS!" LDBA UMPIRES TRAVELING ACROSS CANADA. Four local LDBA umpires will be taking their talents to National and Regional events this summer. LDBA Umpire-In-Chief Rob Companion will be at the Canada Cup in Kindersley, Saskatchewan August 11 -15 as an umpire. Jim Cressman who is on a newly created International umpire scouting panel for Baseball Canada, will be Assistant Supervisor of Umpires at the Senior Men Championship in Dartmouth, N.S. - Aug. 26 - 29. Allyn Ward from Listowel who can be seen around LDBA diamonds during summer tournaments will be umpiring at the Baseball Canada Bantam Boys Championships in Vaughan, Ontario August 26-29. Oakridge Umpire-In-Chief Eldon Dunseith will be attending the Pee Wee Boys Atlantic Championships in Summerside, PEI September 9 -12 as an umpire. This is evidence that we have some of the best umpires in the country right here in our own backyard, and we all wish these four gentlemen the best of luck!